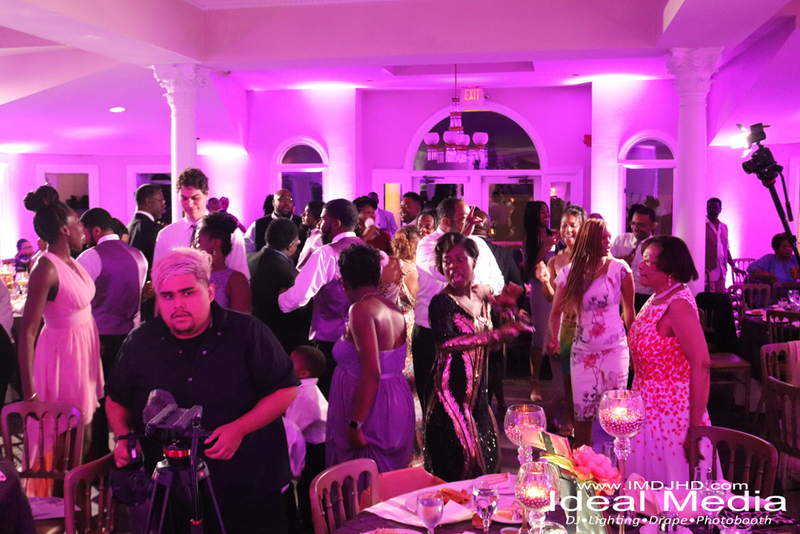 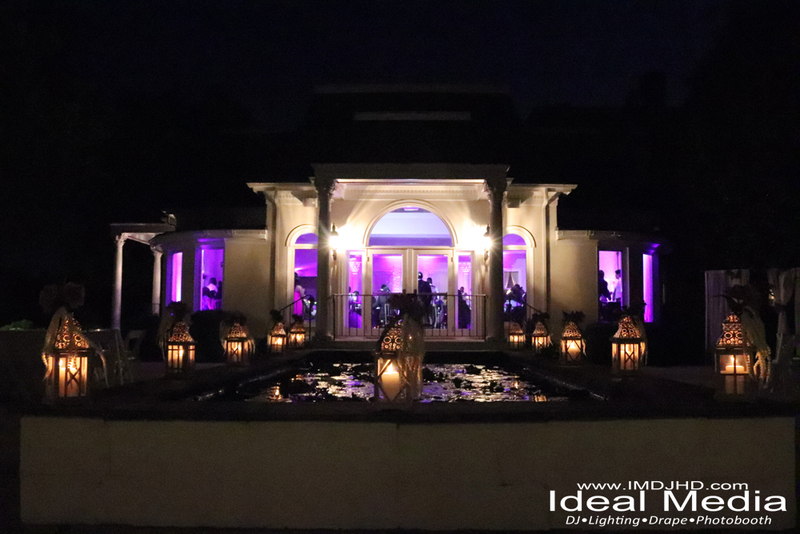 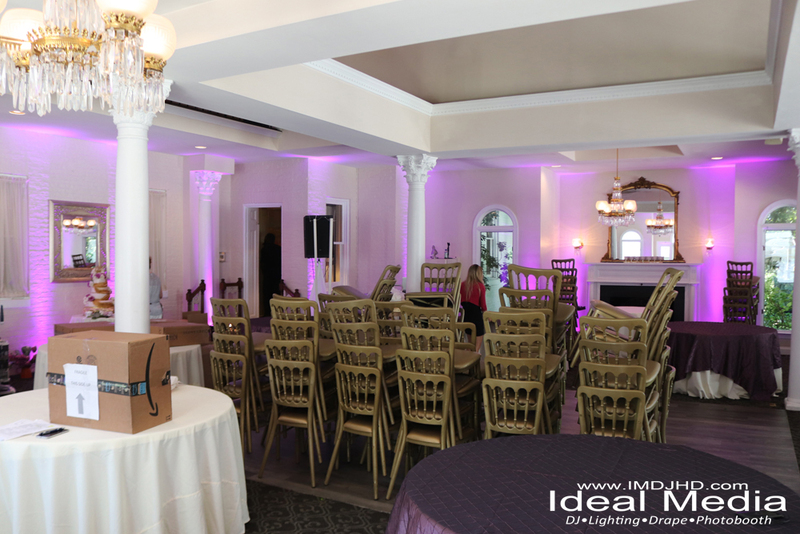 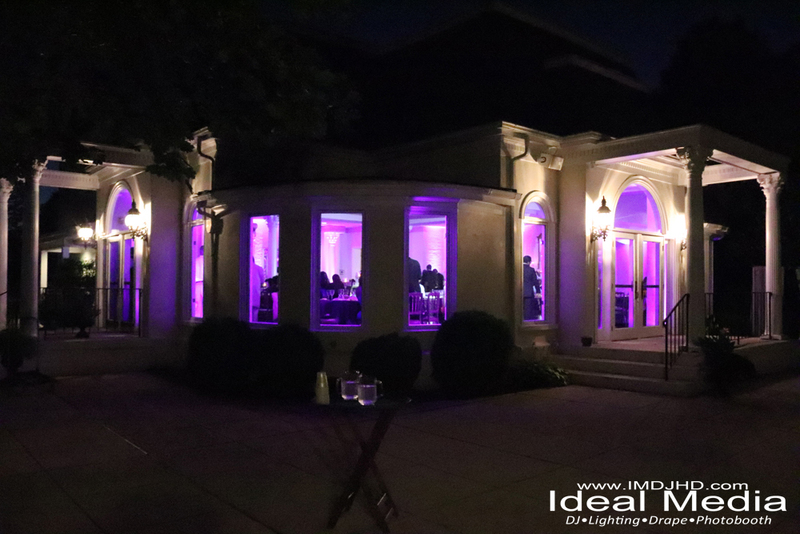 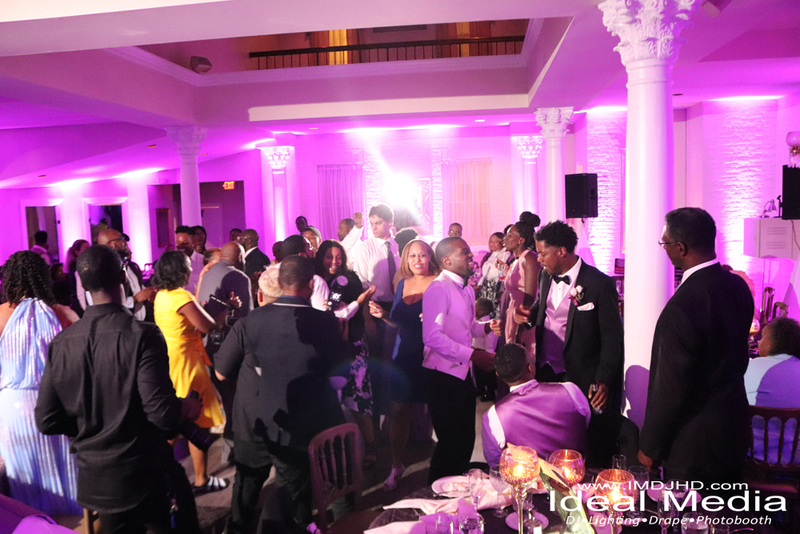 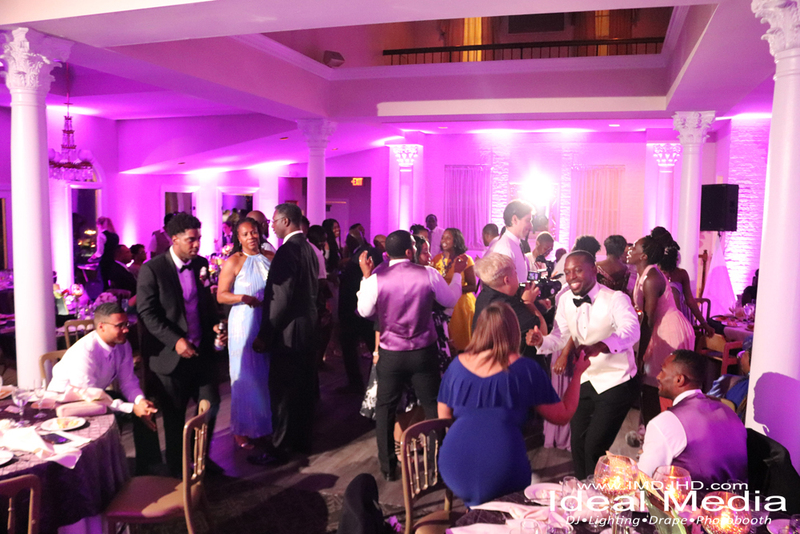 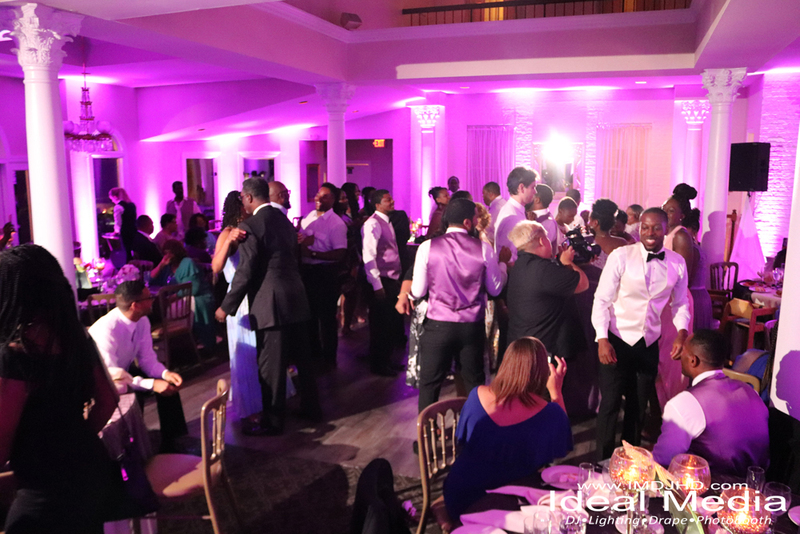 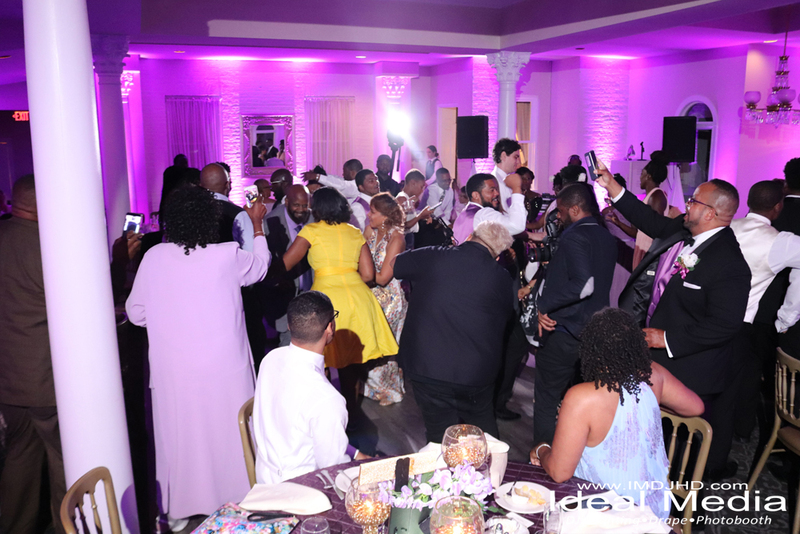 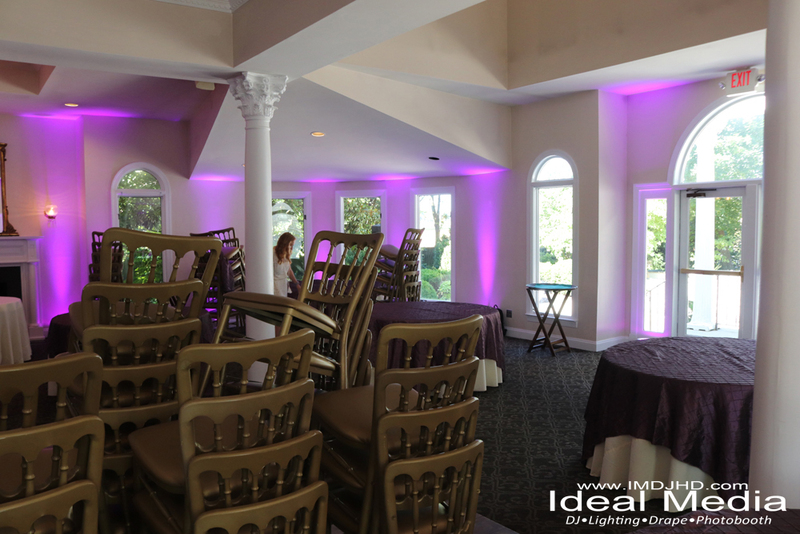 For this beautiful uplighting wedding project, we used 25 LED purple wireless uplights to turn this ballroom into a rich purple. 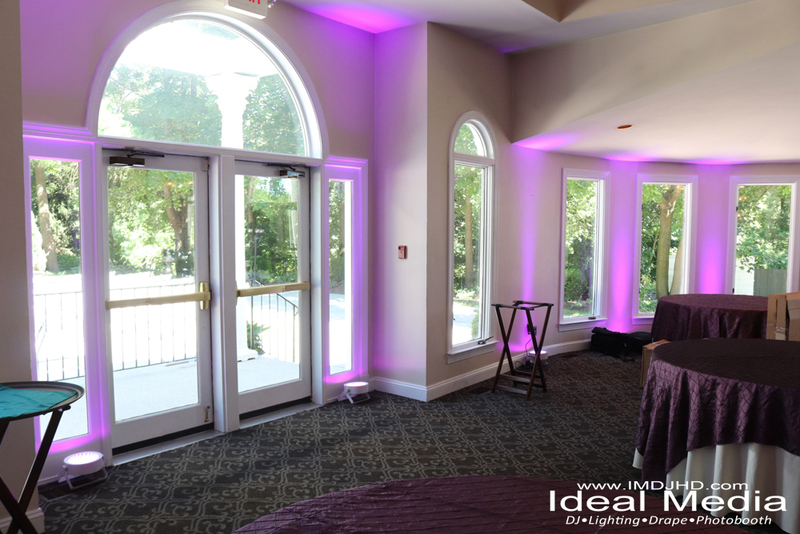 You can see how bright it glowed inside and from outside the room. 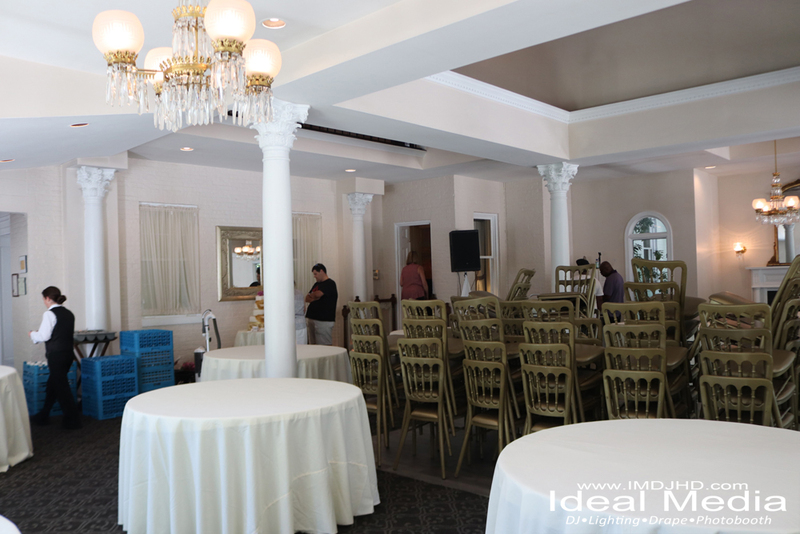 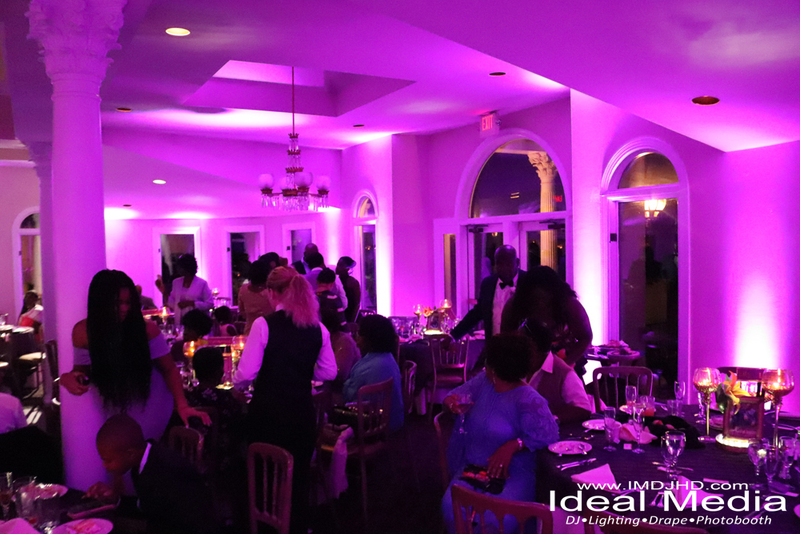 When it comes to getting the best uplighting for your event lighting ideas, it’s best to trust the professional who’ve been doing this for years and have done hundreds of events consistently. 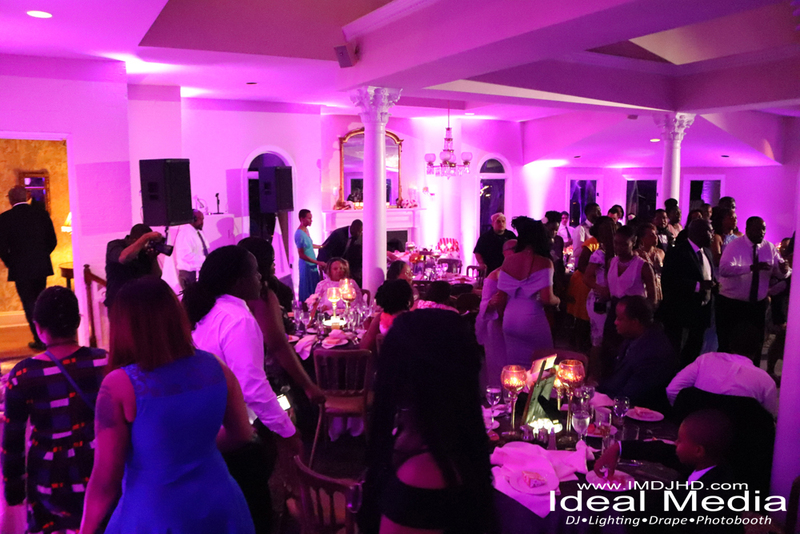 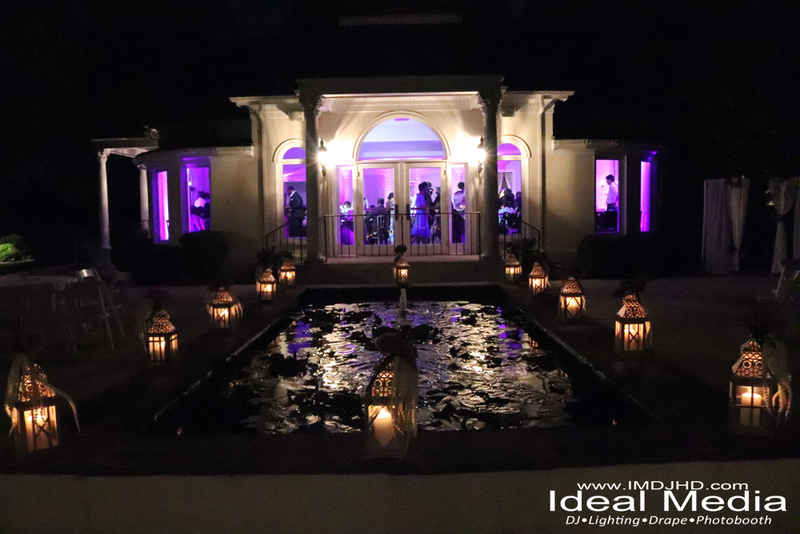 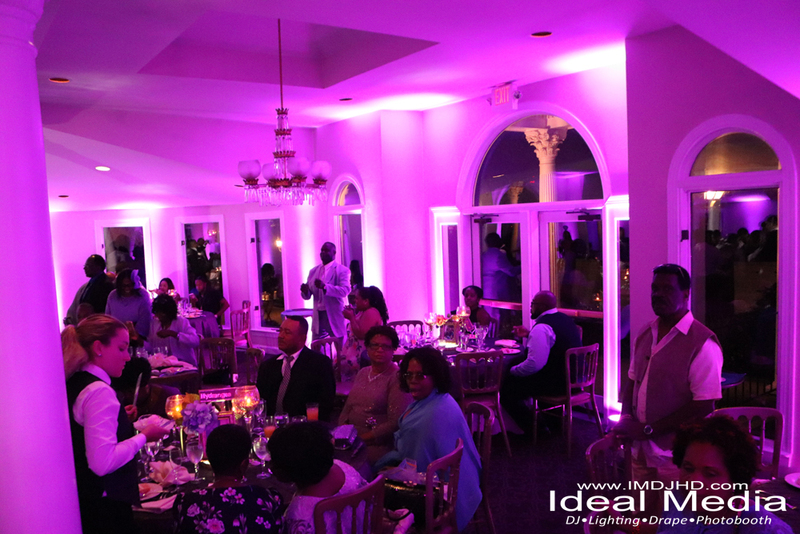 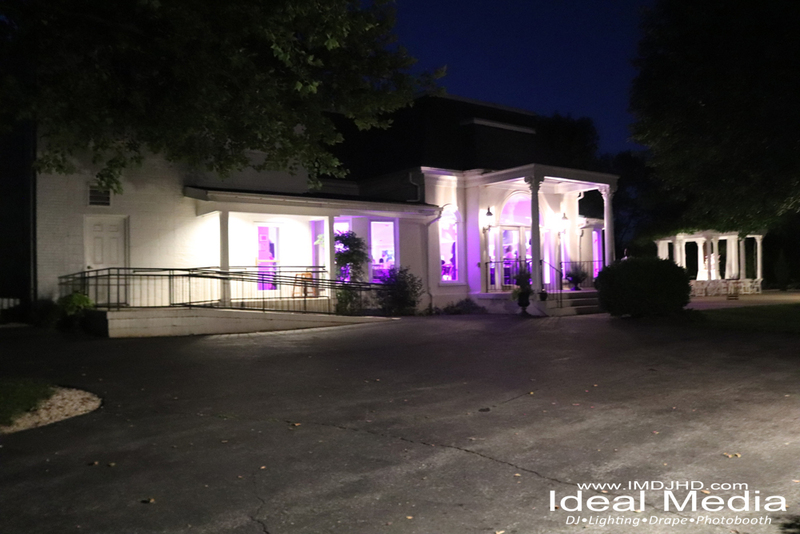 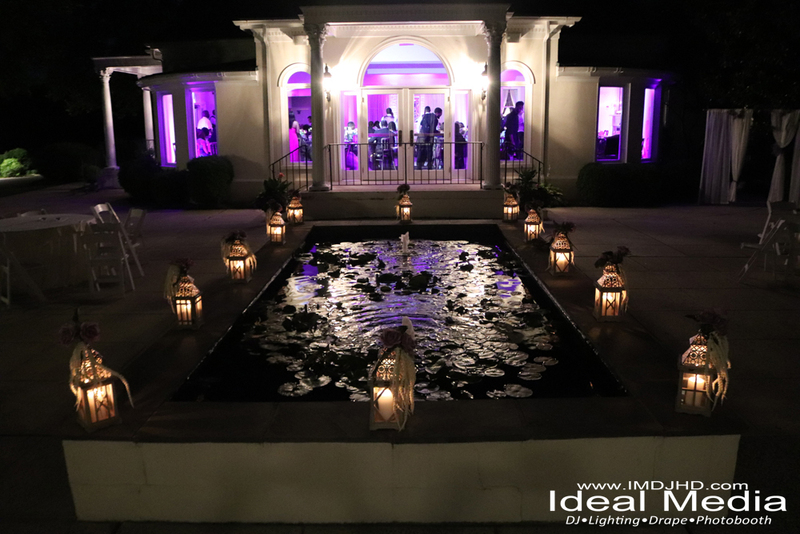 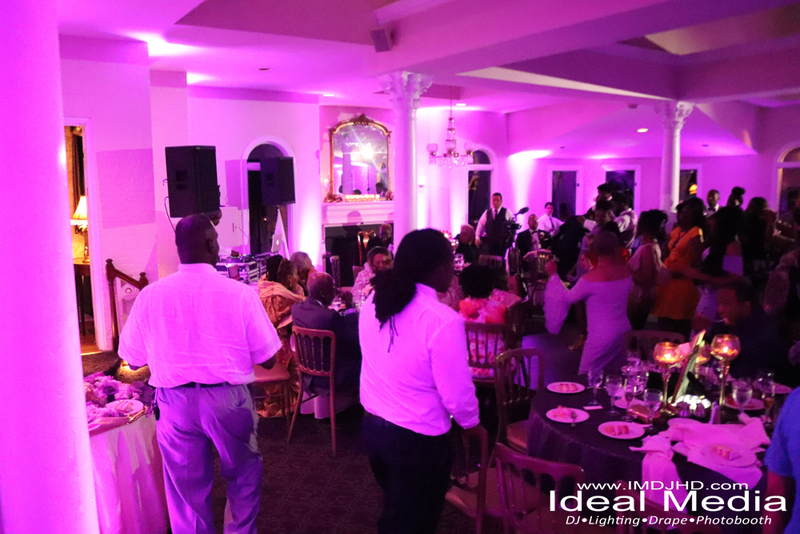 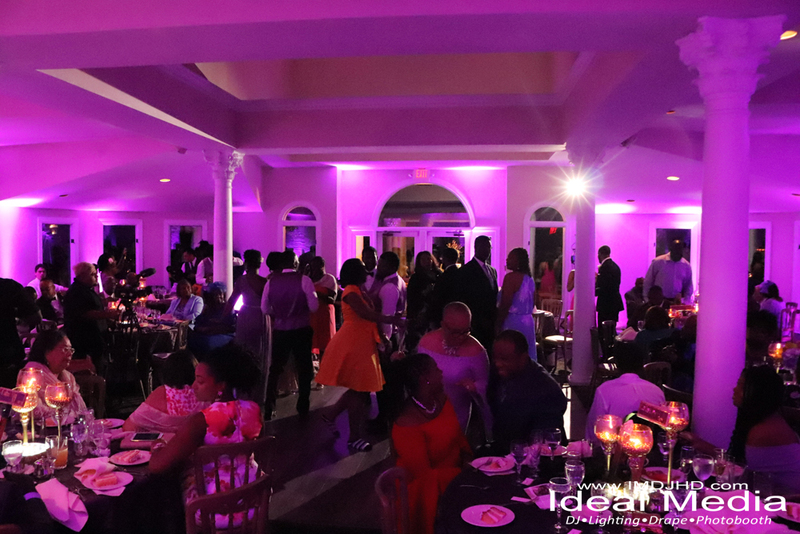 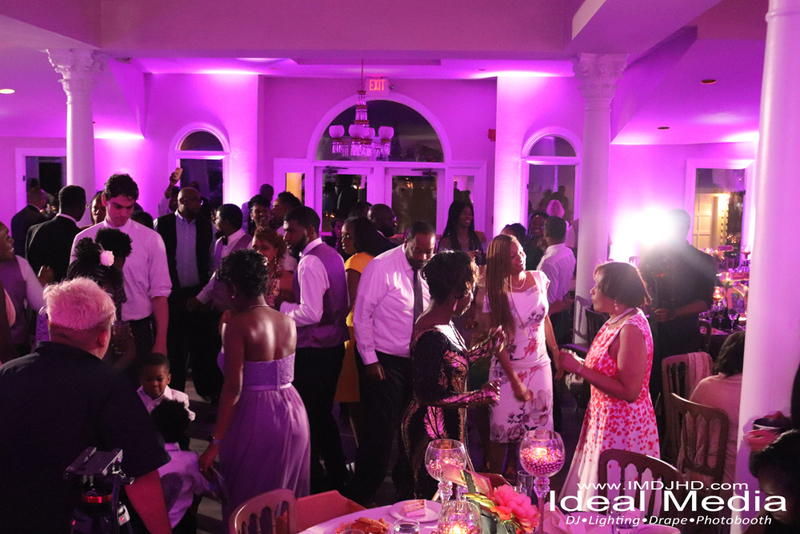 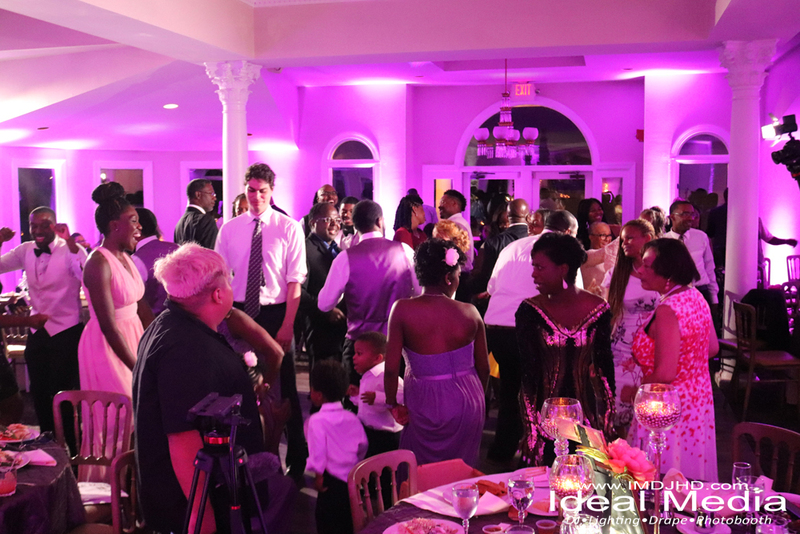 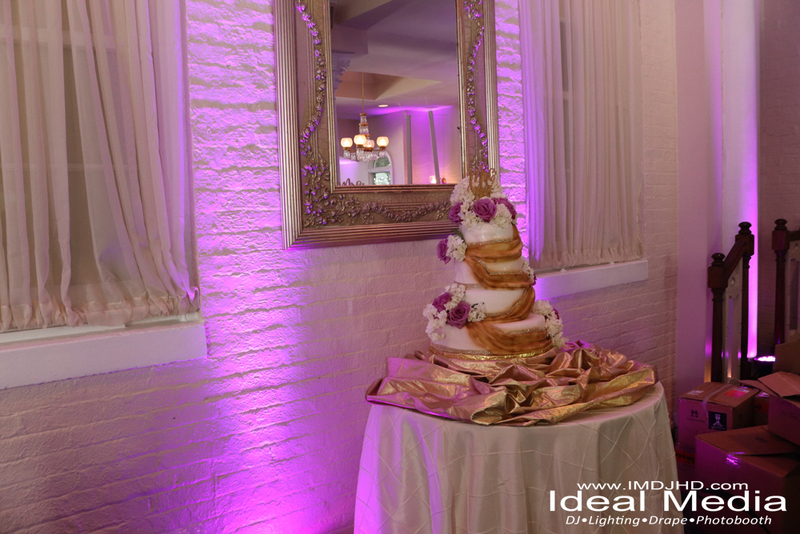 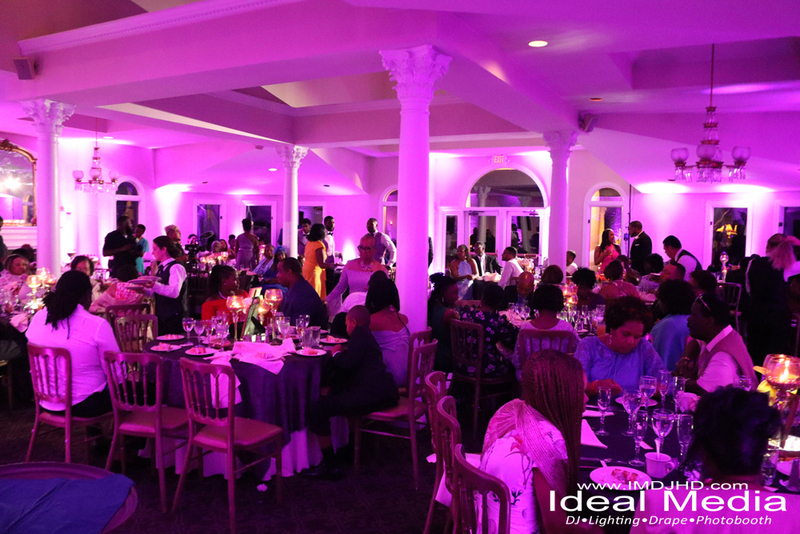 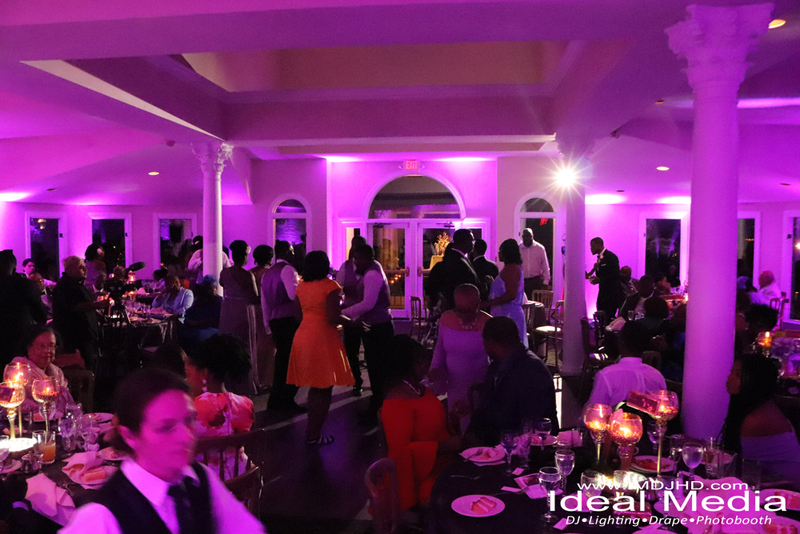 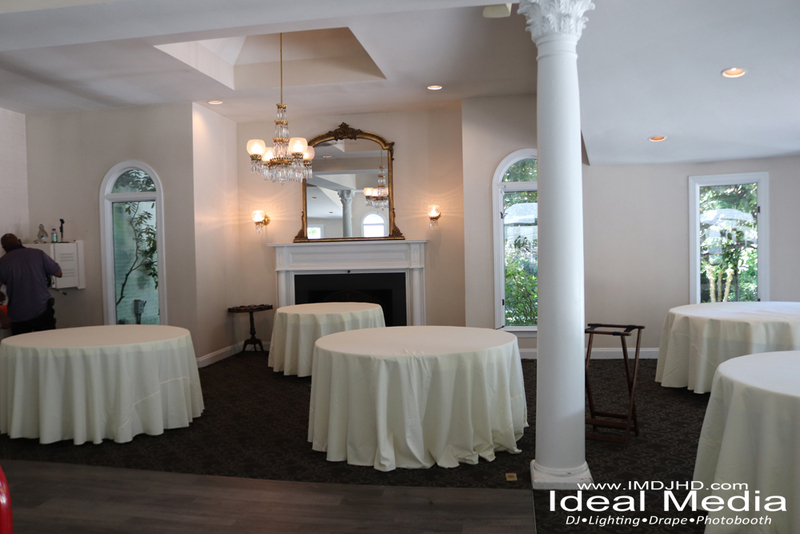 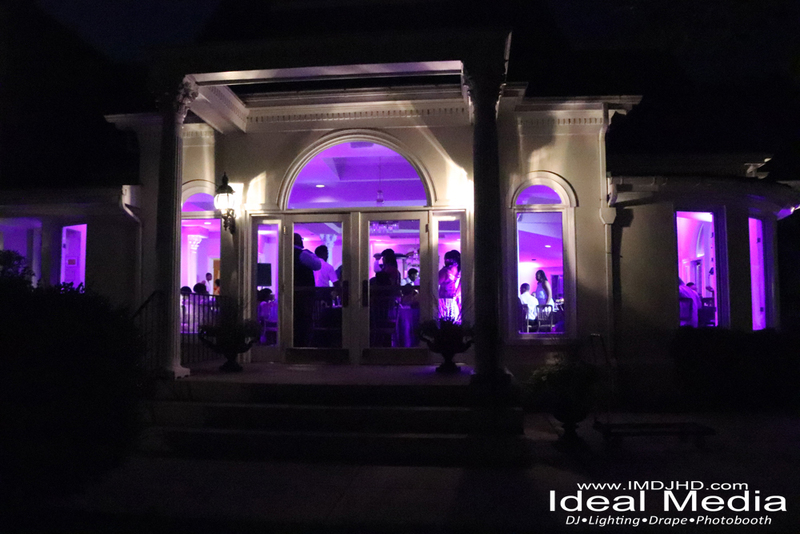 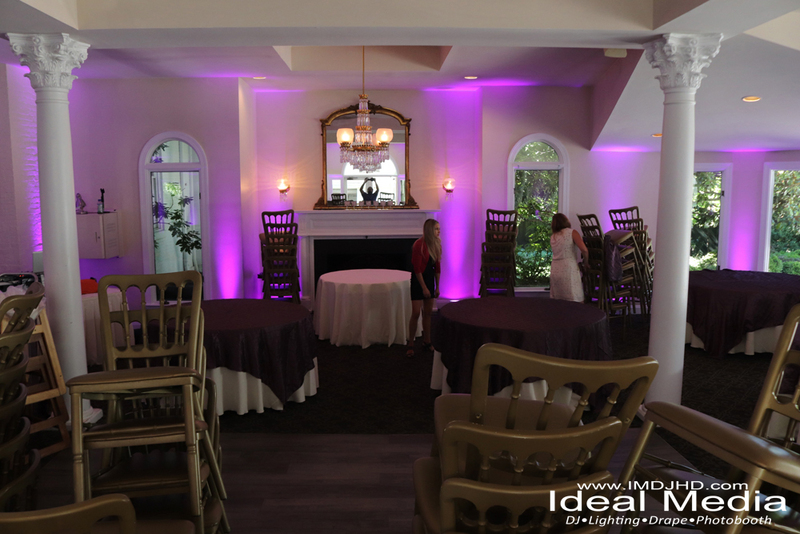 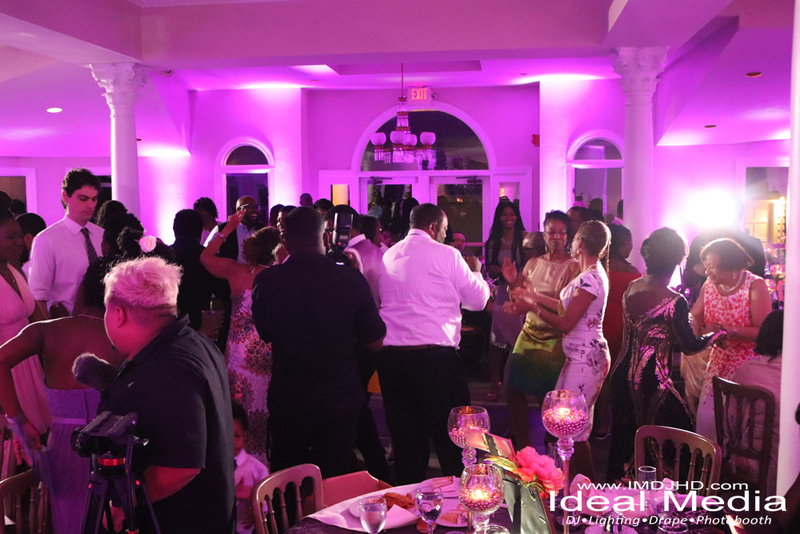 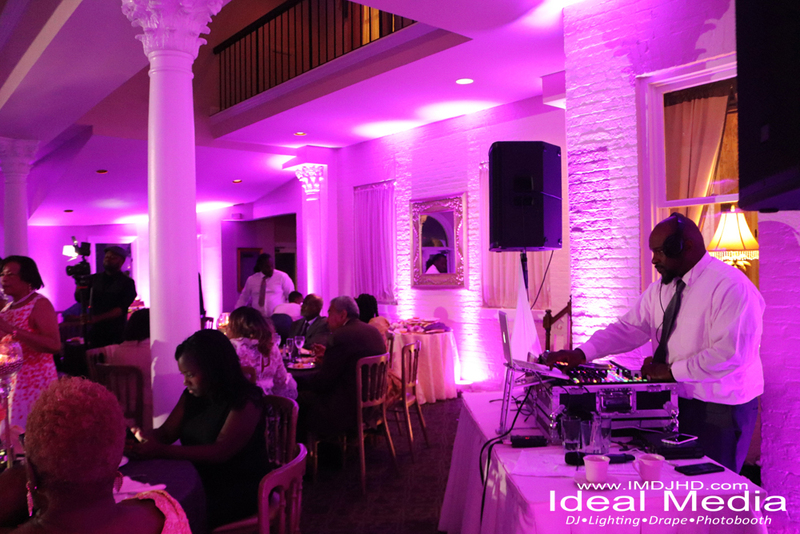 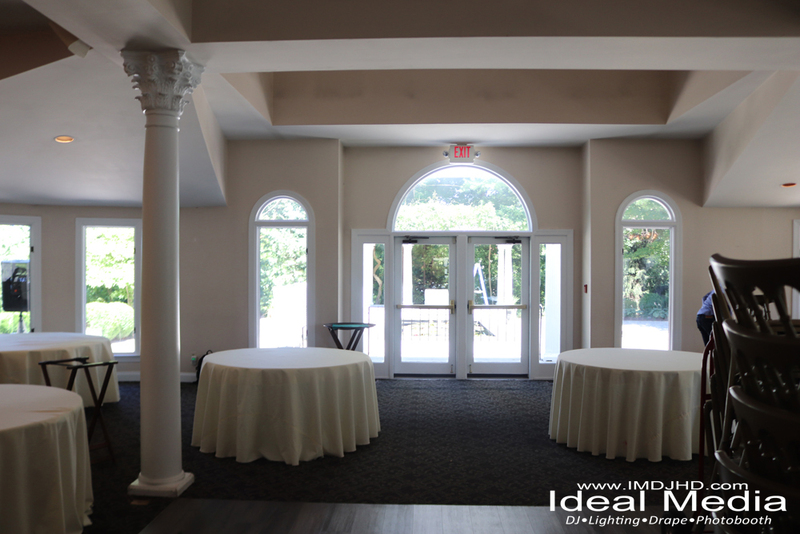 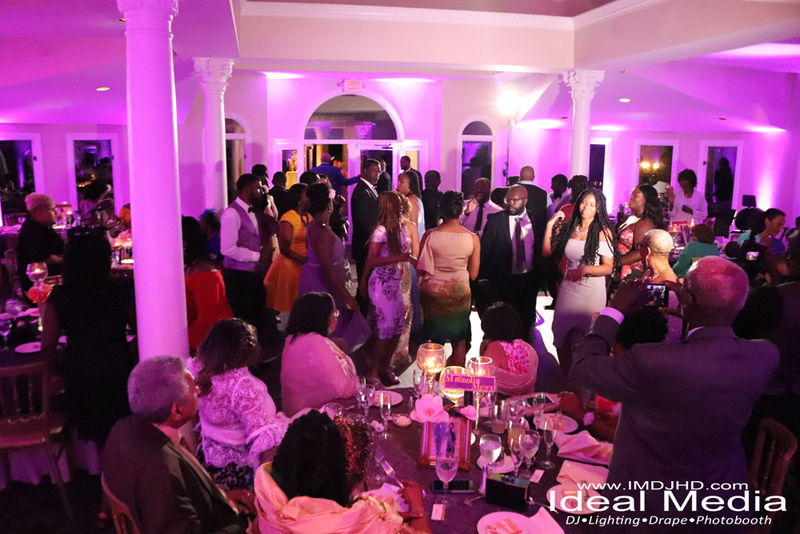 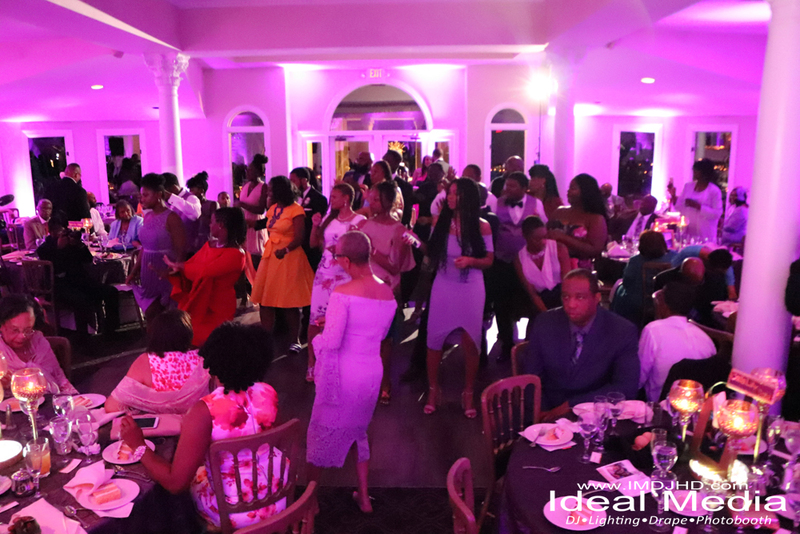 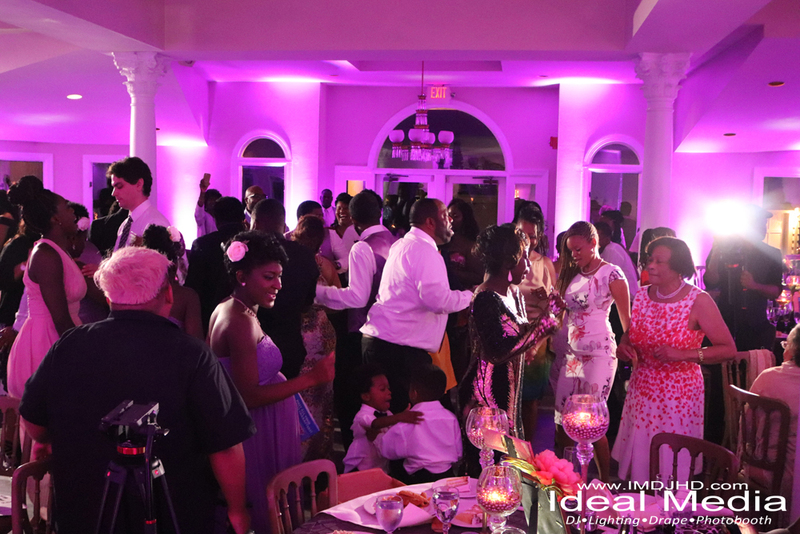 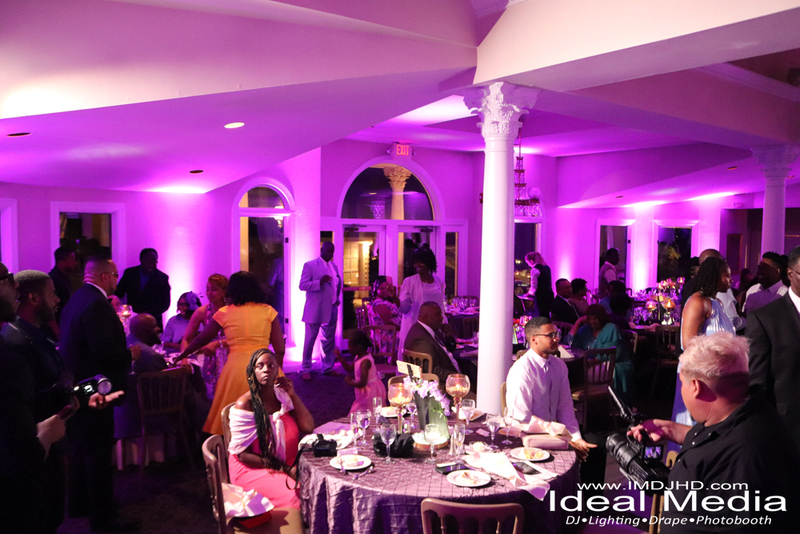 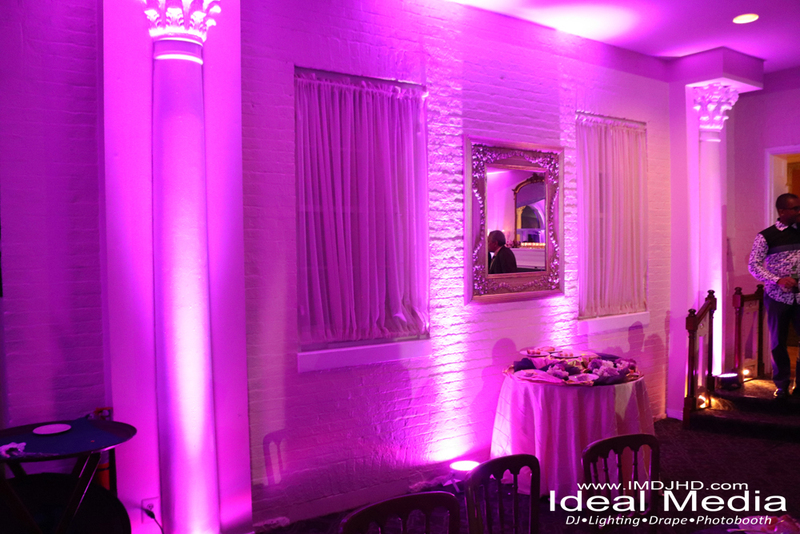 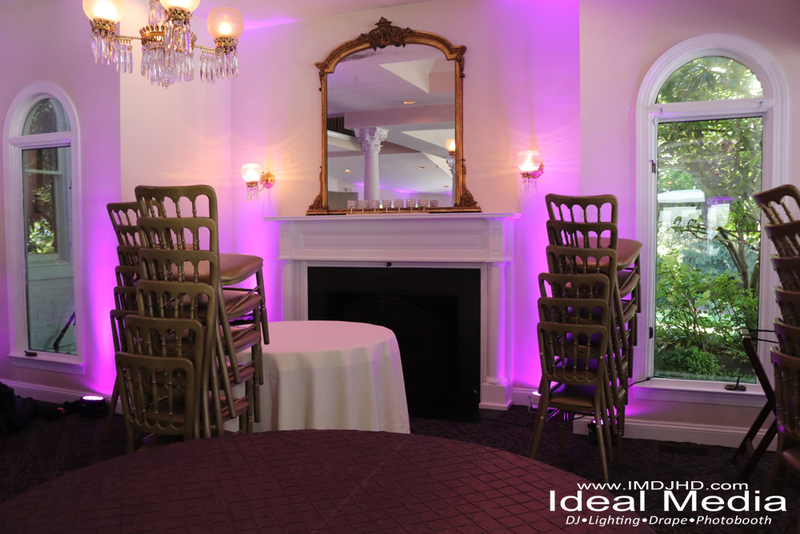 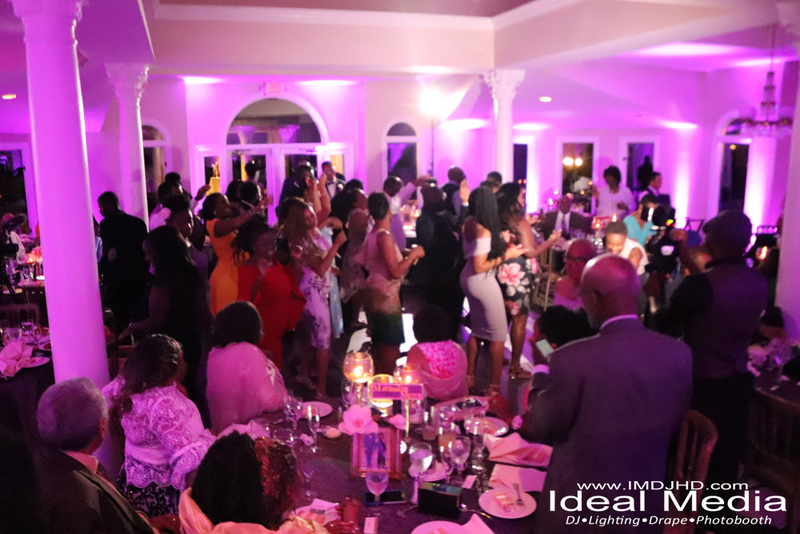 You can choose between amber uplighting, blue uplighting, teal uplighting, purple uplighting, or any color lighting for your wedding reception. 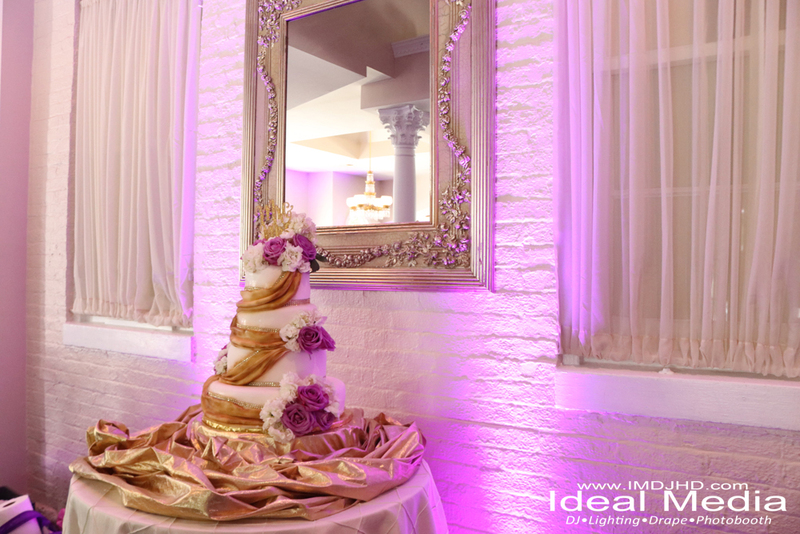 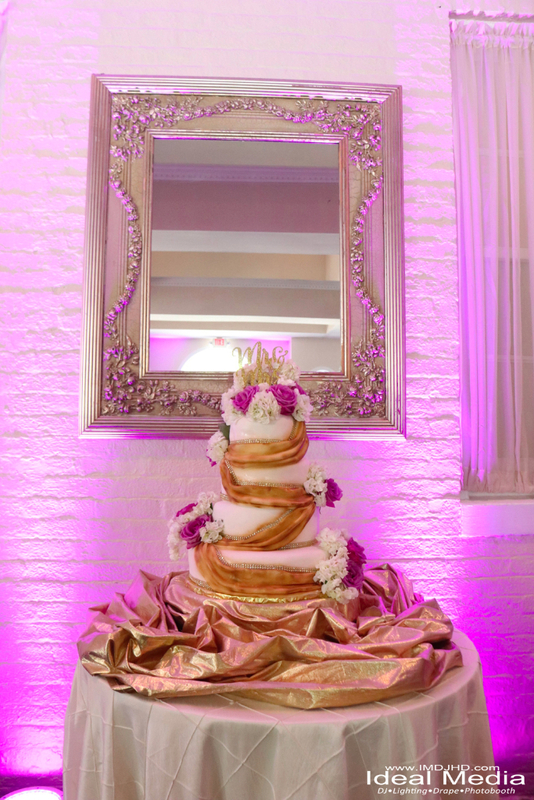 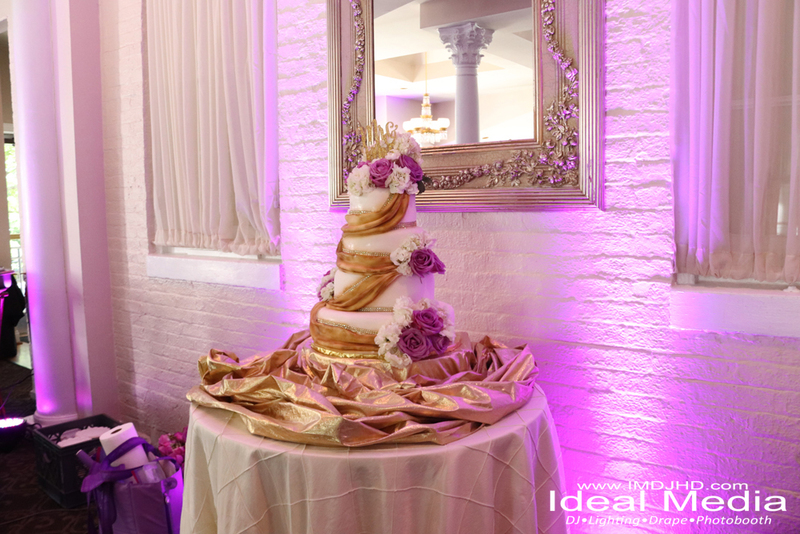 The choice is up to you and should match well with your wedding theme color. 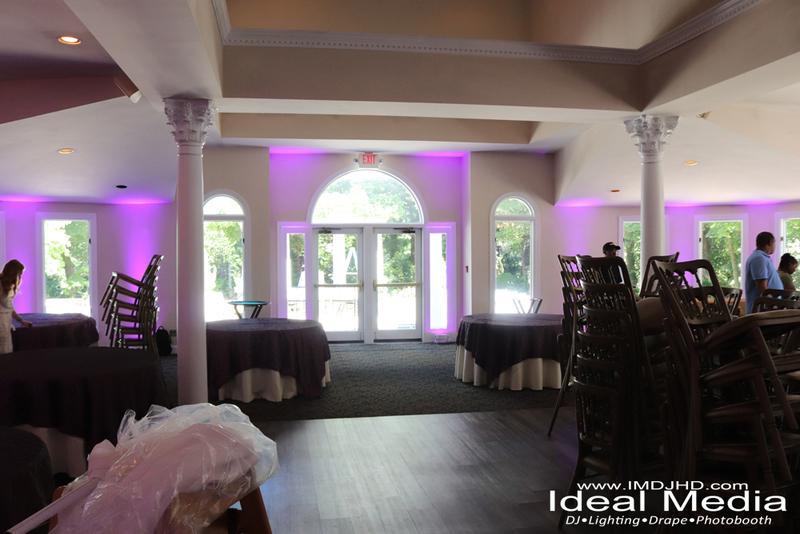 Always remember that all uplights are not the same. 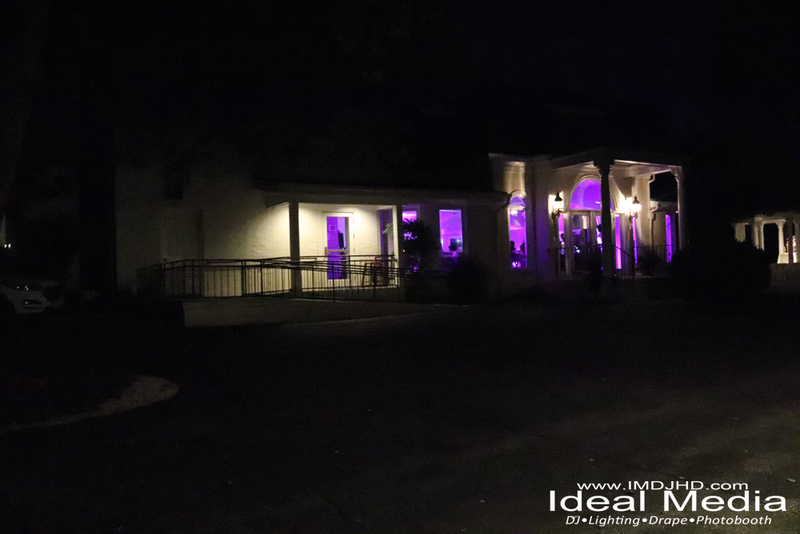 Some lights are stronger than others and will look much better in person and in photos. 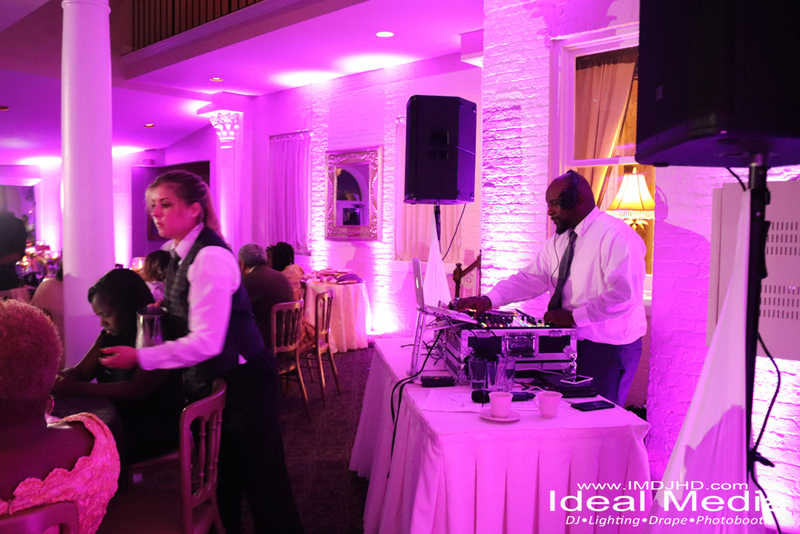 This is why it’s important to use the best professionals who can provide the best quality. 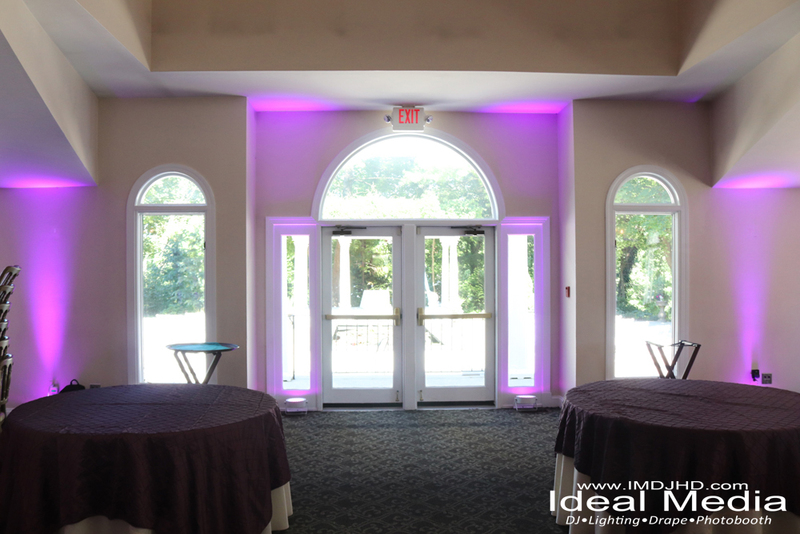 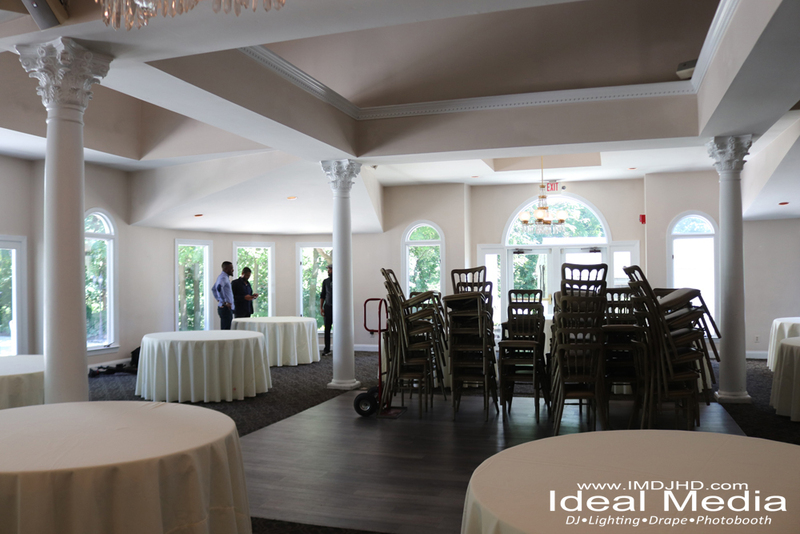 Lots of venues are now offering uplighting packages with their room rentals but still lack the professionalism and experience to get the best outcome. 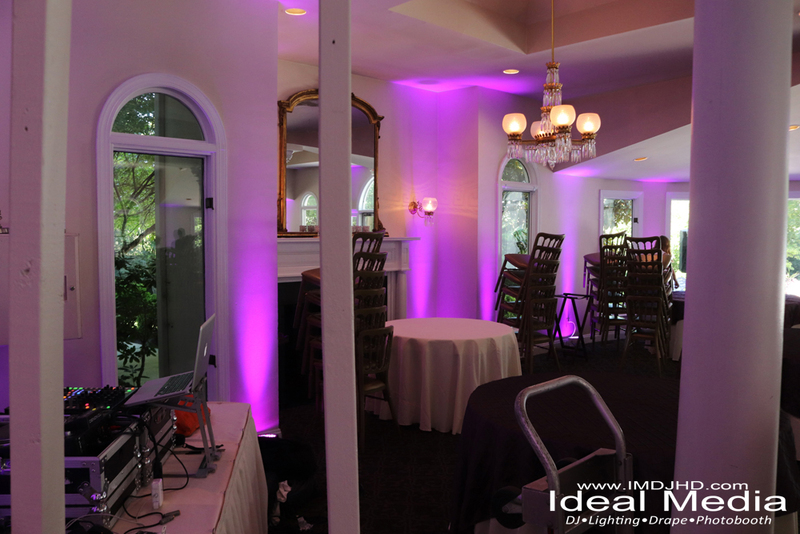 Although it may seem easy from the outside, it takes a true lighting technician to get top quality results. 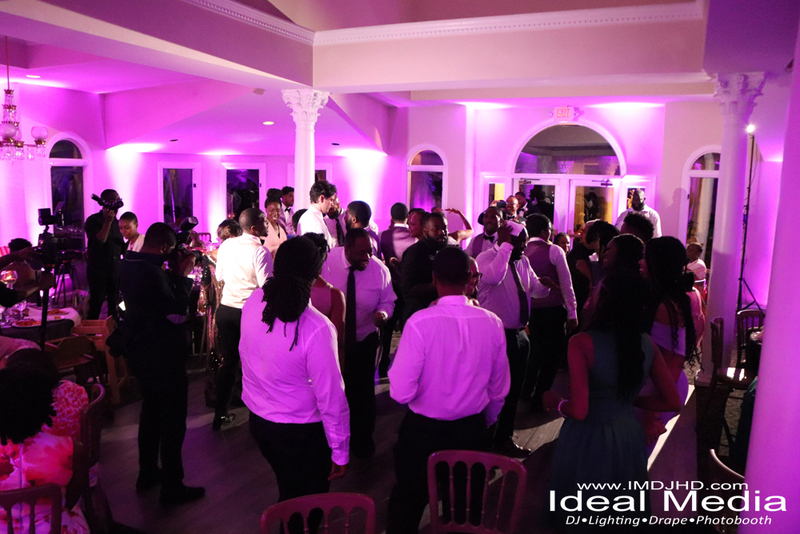 For locations over an hour from Bowie MD, a transportation charge of $100 per hour is added.